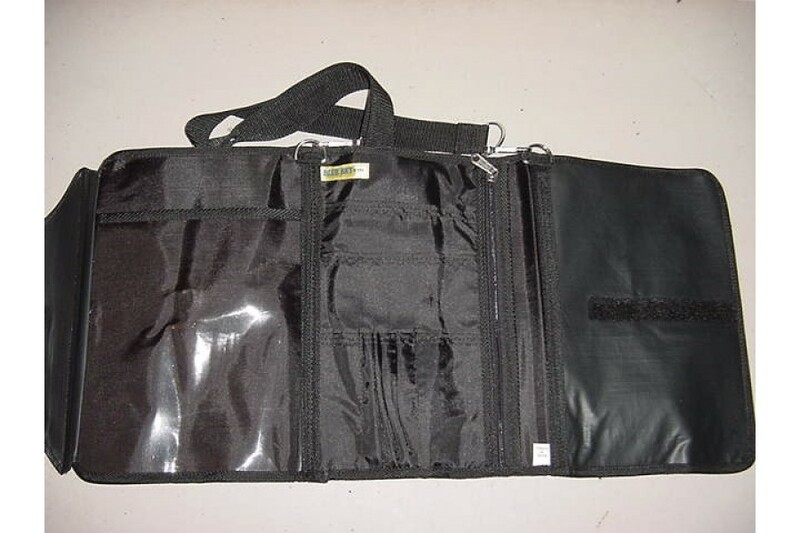 Pilot NEW Trifold Kneeboard Organizer. It measures 26" by 12" when open and 12" by 9" when closed. 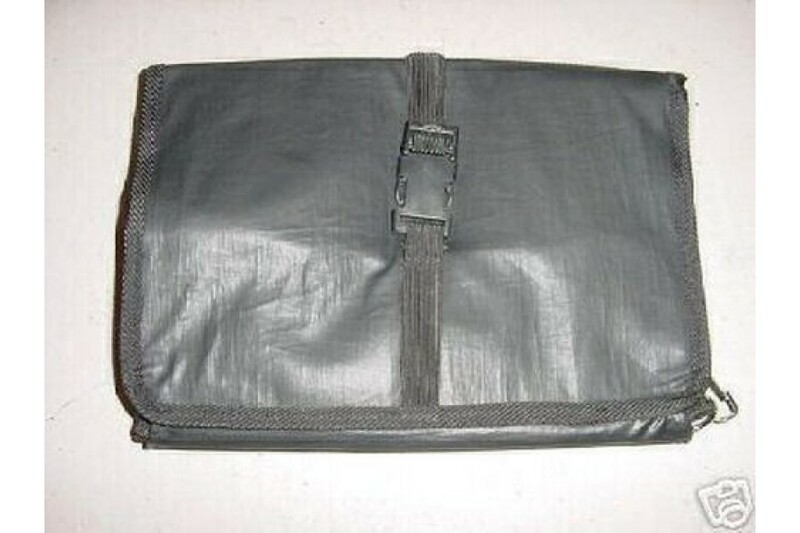 On the front side the left section has a clear protector pocket for storing charts, or displaying approach plates, etc. 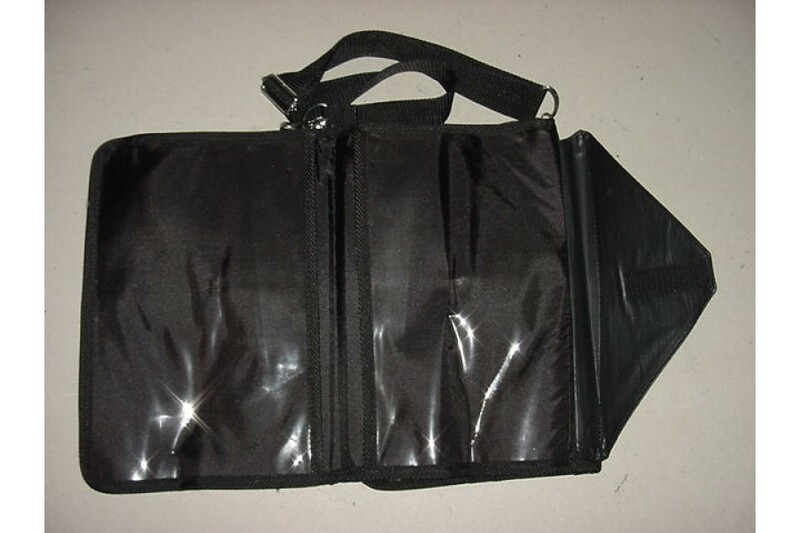 The right side has a total of 4 pockets of various sizes, one of which opens and closes with a zipper, as well as room for storing 4 pens or ... On the back side, both left and right side have clear protector pockets for storing charts, or displaying approach plates, or ... It also has a strap for carrying it over the shoulder, or just draping it over the copilot seat! 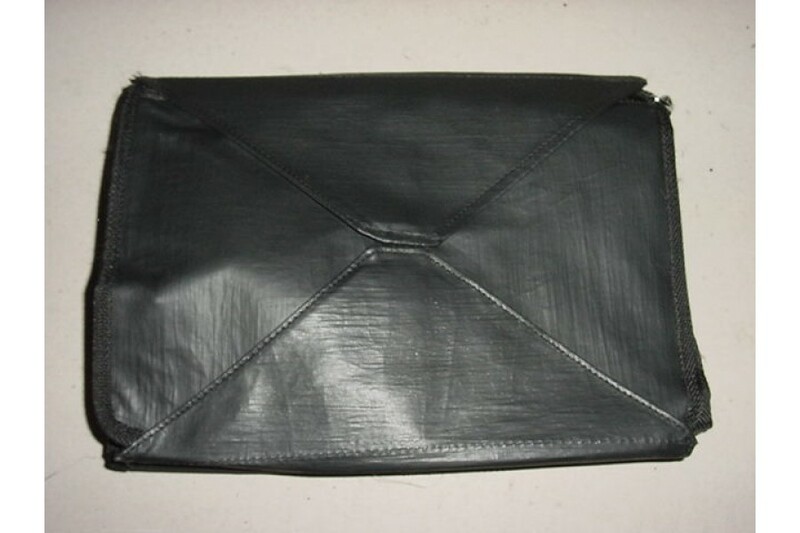 When folded it wraps around knee with an adjustable 1" plastic strap with side release buckle. Made out of vinyl. It retails for over $45! !